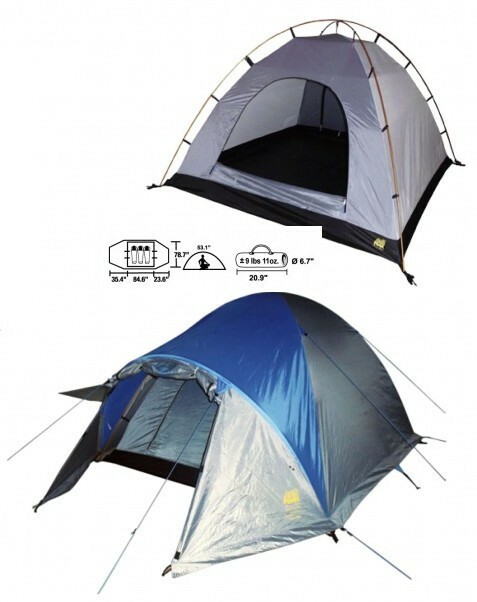 This is a large 3-person expedition-quality 4 Season tent. Speed clip assembly allows easy setup, even when windy. 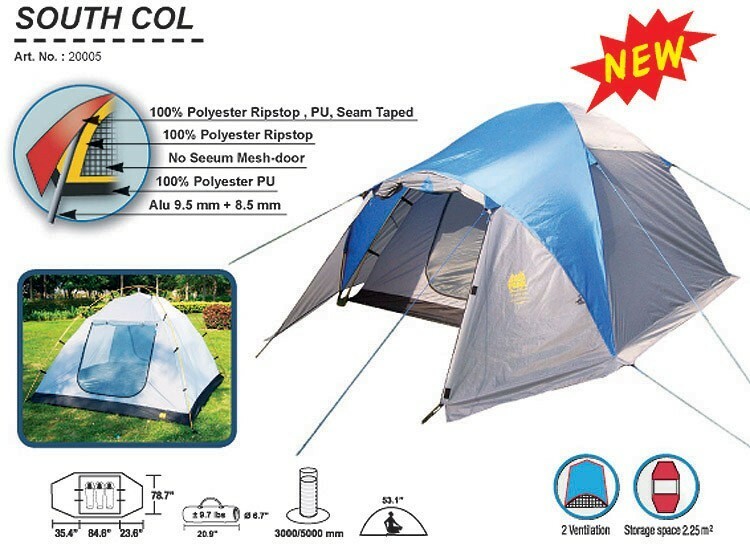 The tent measures 84.6″ wide, 78.7″ in length and 53.1″ tall; plus two vestibules of 35 and 23 inches. 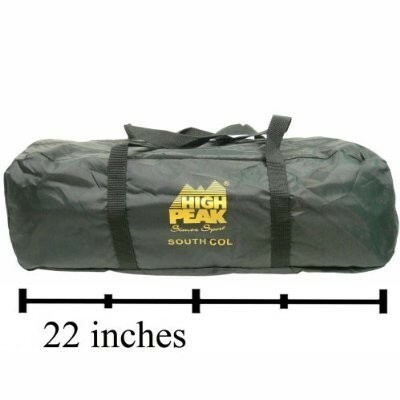 This tent weighs only 9 pounds 11 ounces. 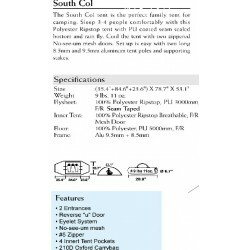 This is a large 3-person expedition-quality 4 Season tent. Speed clip assembly allows easy setup, even when windy. 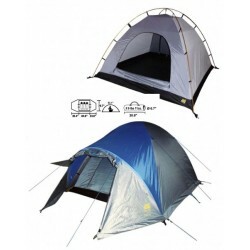 The tent measures 84.6″ wide, 78.7″ in length and 53.1″ tall; plus two vestibules of 35 and 23 inches. 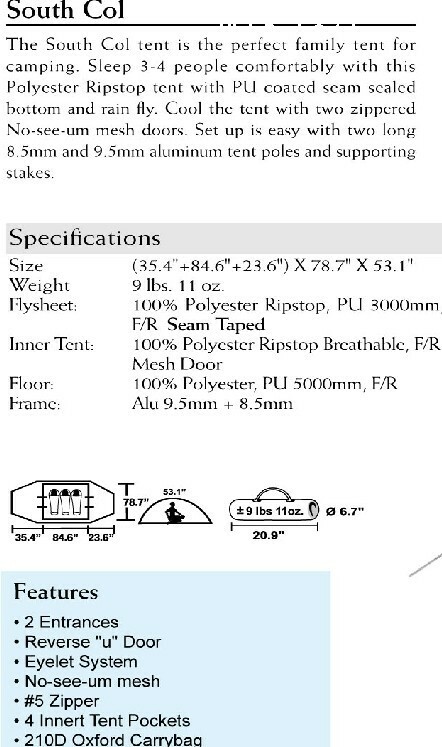 This tent weighs only 9.7 pounds. 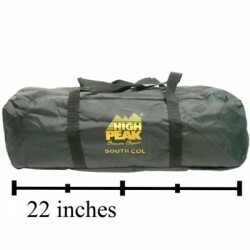 I have used a South Col on 3 major international expeditions. On my trip on the north slope of Mt. Everest, the South Col was the only tent of 12 which survived an ice storm at 22,000 feet! The other 11 tents were custom made and cost between $6,000 and $10,000 each. 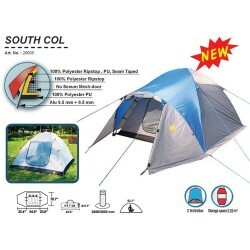 The South Col, today, is recognized world wide as THE best tent under US$600.